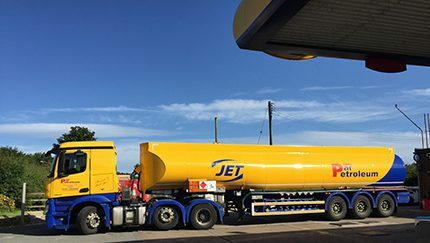 The Energy Institute has recently published updated technical publications on the design, construction and operation of workshops for petroleum road tanker maintenance and guidelines for road tanker drivers’ emergency actions on road tanker loading racks plus a new free to download publication detailing recommendations for a standard method of inspection for a safe loading pass. This publication provides guidance for the design, construction and operation of workshops for the maintenance of road tankers that transport petroleum main fuels products (petrol, kerosene, diesel/gas oil and aviation fuels) and which have not been certified gas-free beforehand. This document outlines recommended harmonised core emergency procedures to be adopted in the event of emergencies occurring at loading racks during the loading of petroleum road tankers. Observance of these procedures will encourage a consistent emergency response at all terminals and enhance the safety of drivers who load vehicles at installations operated by different companies. It is emphasised that the guidance is directed at drivers loading at host sites. Companies may also elect to issue modified guidance to their own drivers, adopting similar basic principles. This publication defines the standard inspection method for road tankers used for the carriage of liquid petroleum fuels. It provides recommendations for the inspections required for an industry Safe Loading Pass Scheme (SLPS) and is presented in the format of a ‘tester’s manual’ to assist on-site inspection and testing activities.